The unconference format was a first for me and just about everyone else in the room. Unfurling HR was the idea of #NZLead’s Amanda Sterling and she put herself out there to get it going, crowd sourcing the support and sponsorship needed via Pledge Me. 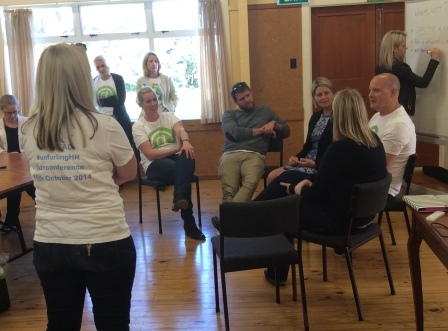 It felt like a natural extension of what #NZLead is all about – getting people together to chat about HR. There was no set agenda, only a loose structure cobbled together from a pre-event questionnaire asking attendees what they wanted to get out of the day. This was fleshed out on in the first hour after we were asked to think about what Unfurling HR meant for us. So what was Unfurling HR all about? Amanda kicked things off and talked a lot about connection, communication and collaboration. You can read her welcome addresss here. 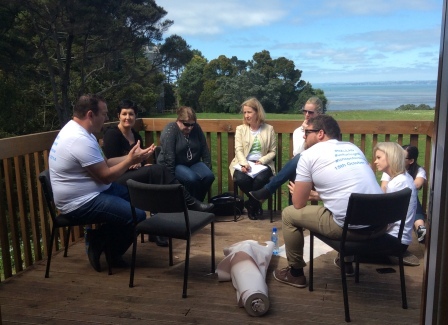 We then heard from a few members of #NZLead’s global network. I particularly liked the words of my old friend Perry Timms. He talked passionately about a future HR of experimentation, unexpected brilliance, being progressive, adaptive, ingenious, caring, compassionate, pioneering etc versus the old order of tired thinking and practices, bureaucracy, risk aversion and predictability. It was powerful stuff, a call to abandon the main road and go on a different journey. You can read his thoughts in full here. Those collective thoughts set the agenda for the rest of the day, a series of discussion groups or “tracks” each tackling a different HR-related topic. Participants were free to move between tracks as they wished, the structure was suitably loose and the discussions refreshingly wide ranging and unrestrained. There was plenty of time for in depth discussion. Amanda’s choice of venue was inspired, a scout camp in the Auckland suburbs, free of distractions, egos and the laboured uninspired thinking that often comes with a corporate meeting room or hotel conference venue. There were no PowerPoint presentations or keynote speeches. Instead we sat in the sun, walked through the bush, tried the flying fox, discussed, debated, argued, made our own coffee, ate and drank when we felt like it and even meditated. It was refreshingly relaxed, inspiring and free of pretension. And we all got sunburn. The final track I joined on developing a top employment brand was a small group. 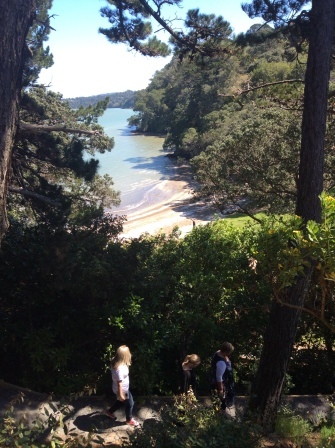 So we opted to walk and talk, and headed through the bush for the beach. I guess you could probably call it a walking track. But it was that kind of day. Bad puns aside, I have probably made it all sound a bit new age. Well, perhaps a new age of HR is really about to emerge. One where we are prepared to aim higher, be stronger, be clearer and more commercial in our thinking. A more globally connected and collaborative group of fellow travellers. So big credit to Amanda and everyone who helped her put this on. She is already talking about the next unconference so let’s hope these become a regular feature of the New Zealand HR community. If you want to get involved in the discussion and collaboration you can find out more via the Unfurling HR Google+ group, or via the #NZLead LinkedIn group. Ditto Vaughan Rivett! Thanks Richard beautifully summed up – I’m sorry I mised joining your last track on developing a top employment brand, damn – next time! I agree, it was a refreshing change to be away from the city and given some time and space to think about things differently. The people that were there were open, unpretentious and accessible and I look forward to having more to do with them in the future!